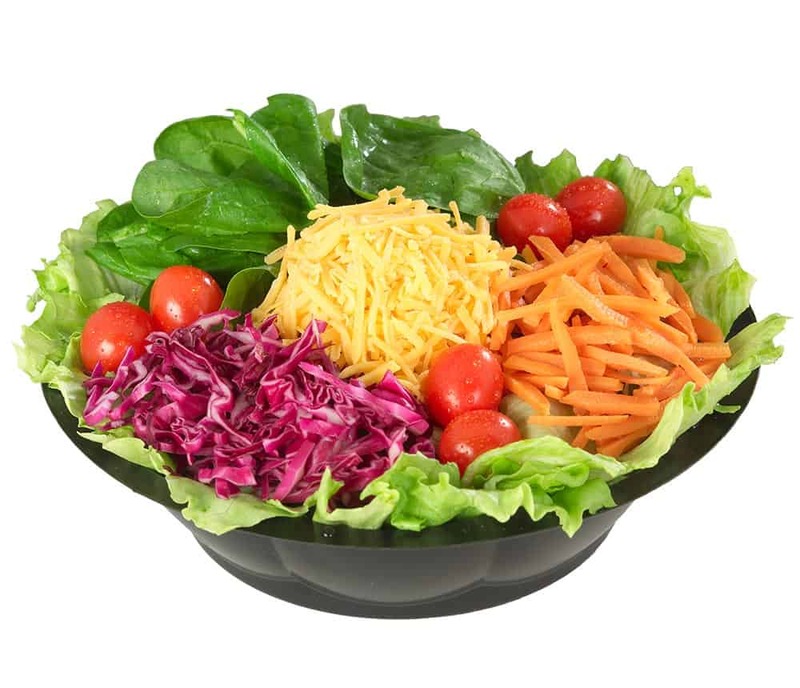 Our Garden Salad is made with fresh lettuce, carrots, red cabbage, cheddar cheese, spinach, and grape tomatoes. It’s served with your choice of salad dressings, crispy croutons, and crackers. Enjoy our tasty Garden Salad for lunch or take it home for dinner. Refreshing and delicious!